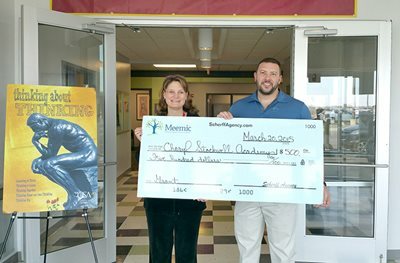 Steven Scherff of the Scherff Agency presented Elizabeth Pick of the Charyl Stockwell Academy in Howell with a Meemic Foundation grant. Elizabeth’s grant will be used to put together “Upper Elementary Math Backpacks” full of activities for students to take home and engage in with their families. Congratulations, Elizabeth!